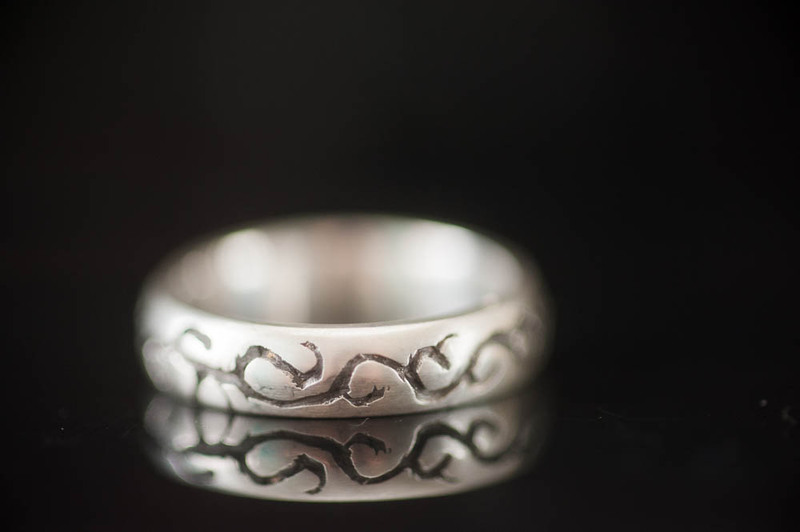 A few weeks back, our community college advertised a workshop with a local silversmith, to make our own silver ring. If you’ve been around here for any length of time, the only think I like better than starting a new project, is learning a new craft! So I jumped on the chance, and had a lovely couple of evenings working away. We used jewellers wax to create our basic design, and then it was taken to be cast in silver. Holy wow was it harder than I expected! The first night was mainly sizing and shaping, merrily along I went…until I cracked the darn wax and had to start again! Night two was mainly working on the deisgn. I used a needle file to carve into the wax, and really struggled with getting a nice smooth design. In saying that, parts of the ring turned out super funky, and look almost like they are written in Elvish, so if I orient the ring the right way, it doesn’t look too bad! I picked it up yesterday, and I couldn’t believe how heavy it was – for scale, it is 3mm wide, and I worked it down to a depth of around 1.5mm. To be totally truthful, it’s a heck of a lot rougher than I had wanted it to be. There is enough of the design that I don’t mind though, to make it wearable. I may or may not have a wee perfectionist streak that tells me I should have been able to do better than that, but also this medium is unlike anything else I’ve worked with before. I DO love the finish that Misty, the instructor, created for me. I went with oxidising the pattern, a matte finish on the outside, and a high gloss on the inside. The workshop was a lot of fun, and Misty was super helpful and a font of knowledge. I’m keen to do another one, and hopefully either get better results or alternatively, be kinder to myself when I don’t!! 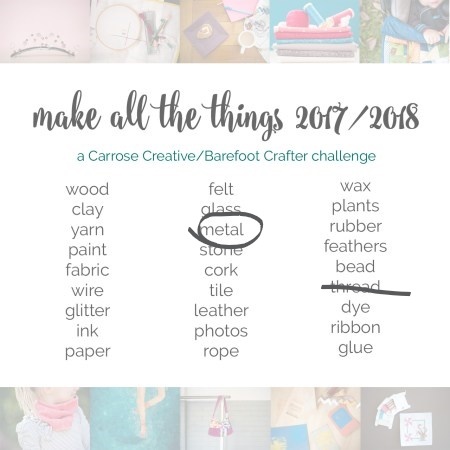 This is project two of 26 for the Make All The Things Challenge I am doing with Carrose Creative. You can see my other finished projects here. OH this was the metal… I do remember it, now I have re-read. I also see I did not comment at the time. WHO AM I EVEN? haha, too funny. These things happen – may have been one of the comments the iPad ate?